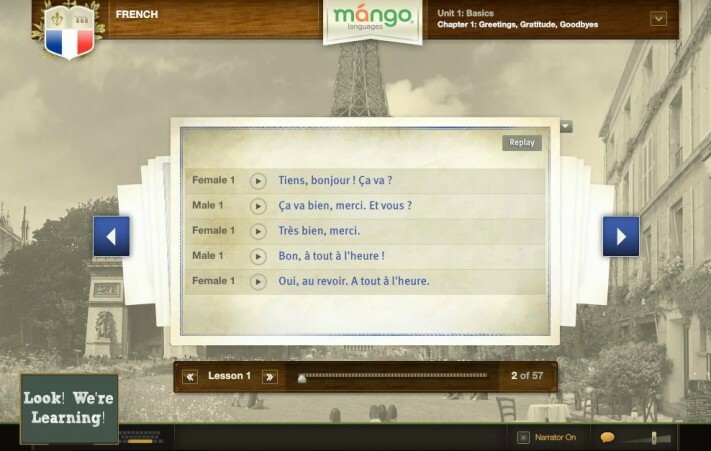 French Language Learning with Mango Languages! Bonjour! 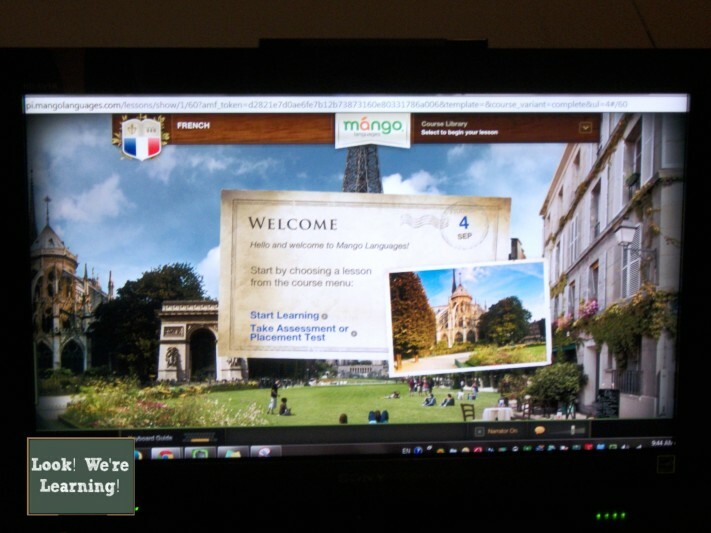 We’ve just begun learning French with the kids with Mango Languages! I recently got the chance to try the program, and the kids are already asking when we can take more lessons. That’s always a good sign, right? Mango Languages offers more than 60 languages and dialects for students, including Spanish, French, and even Ancient Greek! We settled on French, but the kids were excited to see that we could learn just about any language! I received free access to this program in exchange for this review. I was compensated for my time. All opinions are my own and I was not required to post a positive review. I had heard of Mango Languages before, but I had no idea that they had a program specifically for homeschoolers! Needless to say, I was super excited to try it out! Since we’re already in the process of learning Spanish with the kids, we thought we’d focus on French for a while. I hooked up the computer to our television (for easier viewing) and we got started! 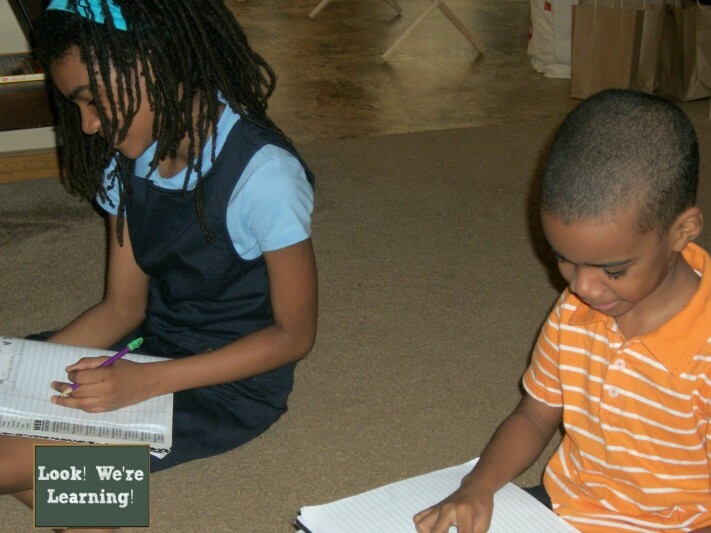 When we opened the program for the first time, we had the option to start at the beginning or take a placement test. So – if you already have a working knowledge of a certain language, you can skip right to the concepts that you particularly need help with. Perfect for the mom in a time crunch! Another benefit of Mango Languages’ program is that you can progress through the “Mango Conversation” lessons with the goal of conversing in the language. Instead of just learning random words, you can actually hold a conversation by the time you finish each section. Mango Languages also has a strong emphasis on the cultural background of each language. We’re fluent in American Sign Language, and I’ve noticed that learning ASL doesn’t mean a lot if you don’t learn about deaf culture. The same is true with spoken languages. It’s so important that we teach our children, not just a foreign language (or two or three! ), but the culture of the people who use it. Since Mango Languages includes cultural notes in the program, you’ll get a chance to understand how and when to use the phrases you learn. After we learned that it’s common to greet one another with a kiss on the cheek in France, we practiced greeting each other in that manner. To offer an easy introduction to French, the program started with basic English greetings. I asked the children to copy down the phrases we learned as we went through the lesson. We practiced saying them aloud, along with the prompts. Then it was time to hold a couple of practice French conversations! By the end of the lesson, they were saying “Hello”, “Good morning”, “How are you?” (formal and casual), “Goodbye”, and several other French phrases! Homeschoolers love printables (myself included), so if you’re considering the program, you’ll be glad to know that you can download printable foreign language learning outlines! They’ll give you a good idea of what to cover before you begin, and you can use them to reinforce the lessons afterward. 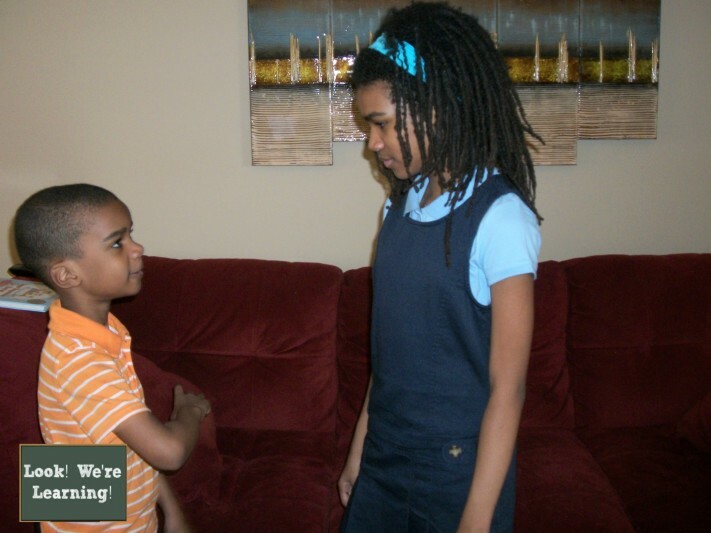 To find out if Mango Languages is a good fit for your family, you can sign up for the Homeschool program free trial! If you decide to subscribe to the monthly program, you can use the coupon code HS5PM to save $5 off the monthly rate! To keep up with news about Mango Languages’ programs for foreign language learning, follow Mango Languages on Facebook, Pinterest, or Twitter. The company also has a YouTube channel where you can learn about how the program works for students of all ages! This looks like a great tool, and not just for children. I’m planning a trip abroad, and need to brush up on my French as well as learn other languages. I think I’ll check out this tool – if it’s for kids, it’s probably at my level! LOL. Thanks for a great post. Thanks for sharing how easy mango is to teach languages. Very interesting. Until today, I’ve never heard of Mango. 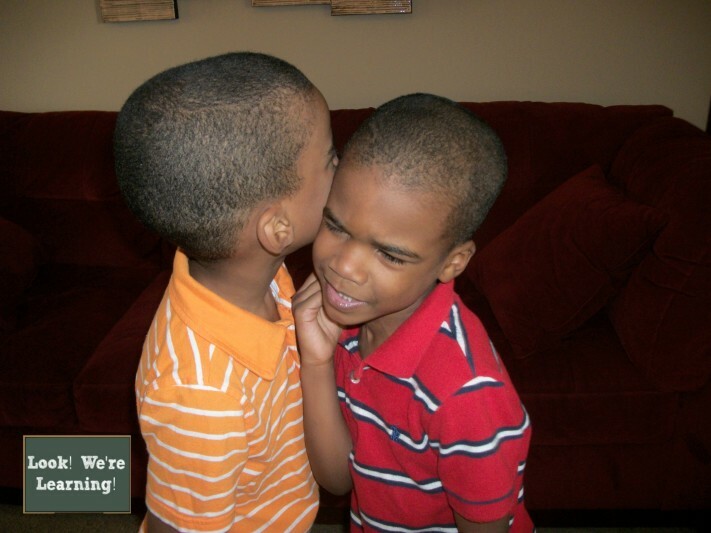 As a homeschool family, I really want my boys to learn another language. This looks like an intuitive experience. I like how it presents cultural notes of each country, very important indeed.